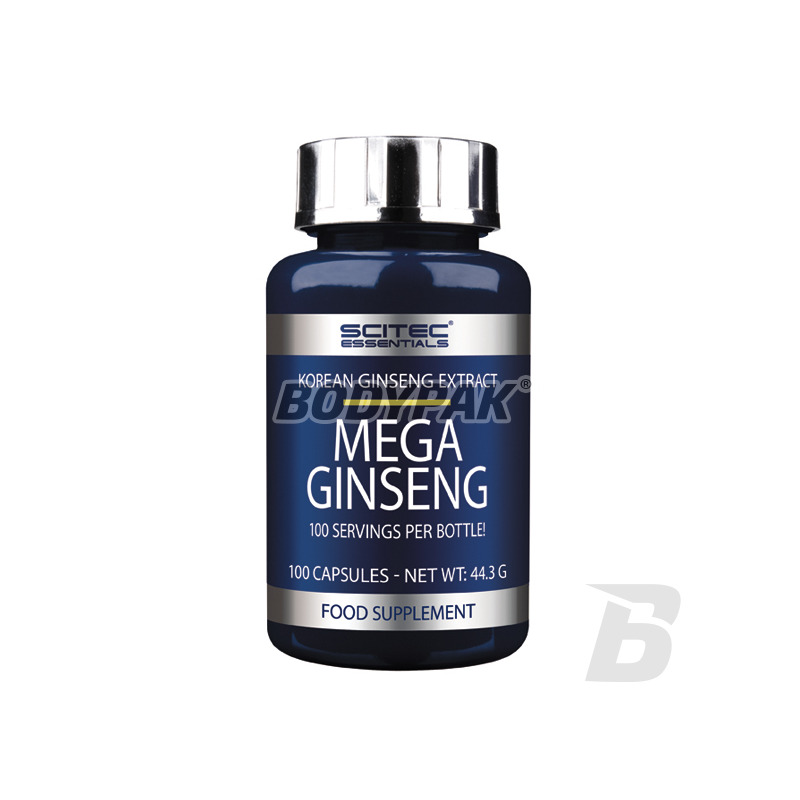 Health & BeautyScitec Essentials Mega Ginseng - 100 kaps. Extremely valuable supplement based on natural algae extract. They were already used by the ancient Aztecs as a valuable source of nutrients. The high content of antioxidants and easily digestible protein! Pau D' Arco is derived from the inner bark of Tabebuia trees, which are native to the Amazonian rainforest. Pau D' Arco has been used by traditional herbalists for centuries. 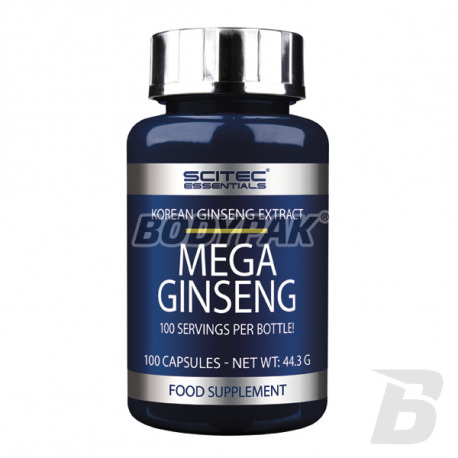 Scitec Essentials Mega Ginseng - 100 kaps. 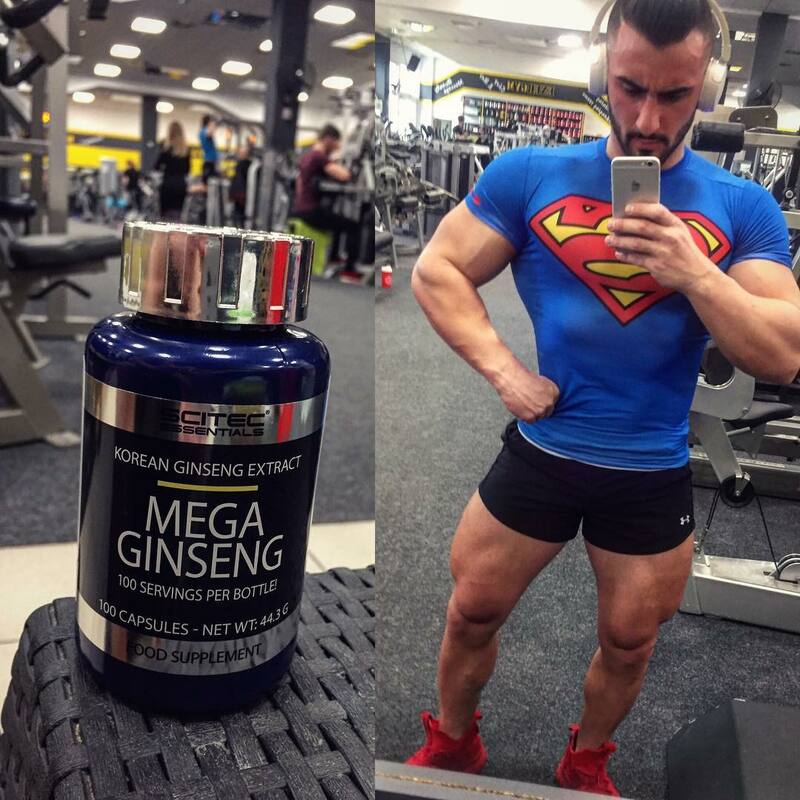 The strongest ginseng on the market! It has a very beneficial effect on health: it has been shown that it improves mood, boosts energy, increases resistance to stress and promotes sports effort. 52 loyalty points Your cart will total 52 points that can be converted into a voucher of 2,08 PLN. PROTECT THE BODY FROM THE NEGATIVE EFFECTS OF STRESS AND HARMFUL TOXINS. Panax Ginseng - Ginseng has a very real comprehensive action. It is used in reduced immunity after they have been long-term bacterial infection, viral or fungal. The elderly is recommended in order to improve memory, concentration, fitness. For men it is recommended due to improvements in potency and to release the aging process (action antywolnorodnikowe, antiatherogenic and immunomodulatory). Składniki: Substancja wypełniająca (Celuloza mikrokrystaliczna), Żelatyna wołowa, ekstrakt z korzenia Panax ginseng (min. 80% Ginsenozydów), barwnik (Dwutlenek tytanu). 62,5 mg żeń-szenia w jednej kapsułce? Trochę śmieszne skoro każdy inny producent oferuje do 500 mg na kapsułkę w takiej samej cenie lub taniej. BioTech Sleep - 60 kaps. You are having problems with the quality of sleep, not enough sleep which results in a continuous weakening and shattering sense? The solution to this problem may be just the preparation, by which increase the natural production of melatonin is responsible for the proper, deep sleep. Highest quality guaranteed by the manufacturer. High-quality formulation that counteracts the symptoms of forgetfulness, affect mental performance. Improves concentration and learning ability. Amix Coenzyme Q10 60mg - 100 kaps. High quality coenzyme Q10 (otherwise vitamin Q) in a convenient capsule form! It is characterized by very strong antioxidant properties! It supports the immune system in fighting free radicals and inhibits allergic reactions, is also used in the fight against stress and fatigue. Capsules OLIMP Coenzyme Q10 include coenzyme Q10 (ubiquinone) and the conditions the absorption of soya lecithin.